A few other things came to mind too. 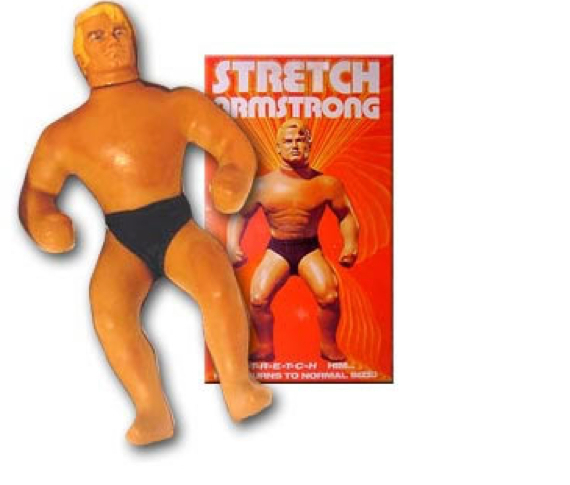 Stretch Armstrong, which didn’t last me long; failing to snap the arms and legs by constant, deliberate and destructive over-stretching led to my impatience, creating a scenario involving two action men, Stretch himself, and a rather brutal session of interrogation . Mr. Armstrong’s arms and legs were removed with scissors and a gully. 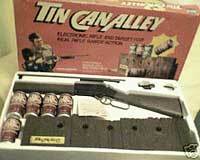 Tin can Alley, which had more entertaining use outside with friends as we played our war games – for those occasions, gnarly pieces of wood and small tree branches served as guns, however, the Tin Can Alley gun was ideally status-lifting and coveted to the point of selfish tugging when others wanted a go on it. 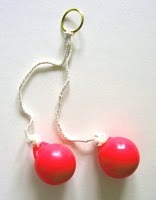 But perhaps the most annoying and probably the most dangerous fad that came and went several times, were Clackers! Or, as some manufacturers called them, Ker-knockers; goodness knows why? I’d just rather they were good old Clackers. In perfecting the perfect rhythm, aside from the annoying clacking noise, small knuckles and wrists were often swollen and sore! A deliberately slow build-up would eventually lead to arm-aching speed, which ultimately ended up with fat hands and wrists! 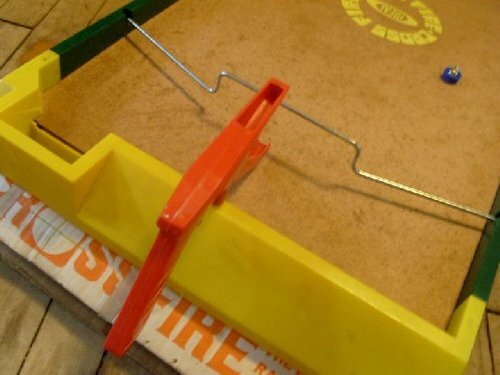 This entry was posted in My Words and tagged Clackers, Crossfire, Stretch Armstrong, Tin Can Alley. Bookmark the permalink.